I'm Thane, welcome to my website! Feel free to browse around. 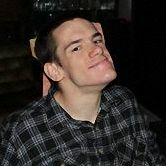 This site contains content on my comedy projects, my disability for those that are interested and also a blog. I can do stand up comedy for events in Christchurch or beyond. I can do anywhere from ten minutes to an hour.